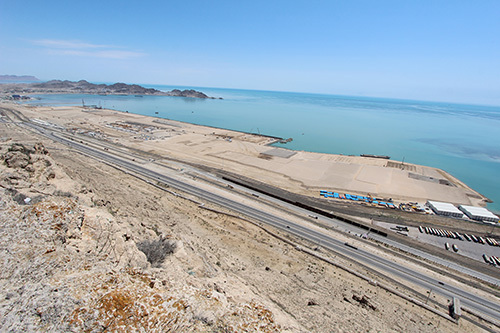 The project is an EPC/Turnkey Project for the implementation of an international seaport at the city of Turkmenbashi. Turkmenbashi is located in Turkmenbashi Gulf, which is the eastern shore of the Caspian Sea and western part of Turkmenistan. It is approximately 550km from the country’s capital Ashgabat. 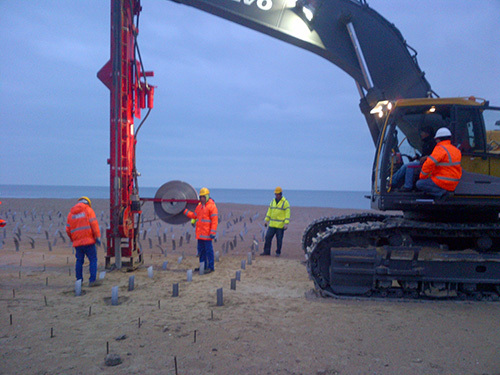 The work is being carried out on joint venture with Zetas. 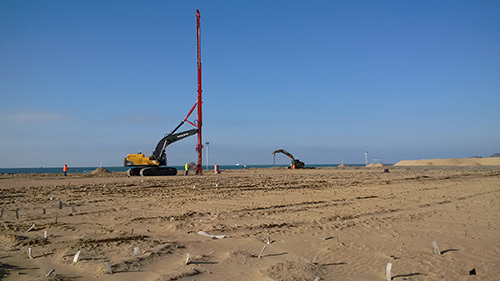 PVD installation for the Test Works area is approaching 50% completion, which is followed by installation of monitoring devices (settlement plates, multi‐depth settlement gauges, pore pressure sensors and inclinometers). After finalizing of these two activities, the treated area will be loaded with surcharge for a period of 4‐6 months when continuous monitoring over pore pressure dissipation and ground settlements will be performed to evaluate the effectiveness of treatment. Based on the results, decision on commencement of Main Works will be made, and accordingly Notice to Proceed 2 (NTP2) issued. It should be note that this project allowed Menard Vibro to purchase a brand new Volvo EC700CL excavator, which can be considered the beginning of our company’s equipment fleet in Central Asia. It can be used for both PVD and RIC (12‐ton hammer) applications.